We have an exciting initiative – as you’ve probably guessed from the title – we will be bringing to you one blog post per day for the rest of 2013. Here is how is will go…. You can check out a preview if you’d like, by clicking the #asw13 category, as we ran a content series based all around our preparation for Affiliate Summit West with an 18 post series. Every Friday – the theme will be intermixed with a “Fun Friday” weekly series that will introduce all of you to some personal ShareASale specific information about either our office, someone in our office, or something from our past that will hopefully bring back memories. Posts will come from our entire company – from Sales to Support, even the Tech. Development folks will be participating…. Make sure you G+ it too. I think this is great. 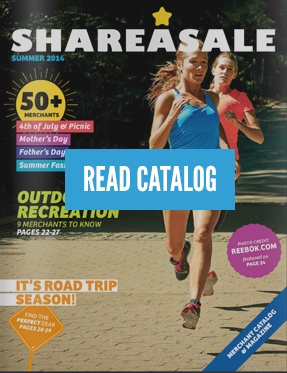 I’ve recently became more active with ShareASale after working with other affiliate companies. Although I’m new to blogging it didn’t take me long to notice that ShareASale is one of the best. I look forward to a more active ShareASale blog. We like the new look!!! Looks Great! Loads a little slow on my computer but to be fair my comp is pretty old.